The party in the Poor Mans Canyon continues! All of our charter boats today fished out of the Poor Mans Canyon, resulting in an excellent day for all of the crews. The “No Quarter” released 2 white marlin, the “Double J” had a phenomenal day catching 20 dolphin, 1 white marlin release and one blue marlin release, the “C-Boys” released 3 white marlin, the “Whiskey Kilo” released 1 white marlin, the “Espadon” released 2 white marlin, the “Tighten Up” released 2 white marlin, the “Marli” released 2 white marlin, the “Poore Sport” released 4 white marlin, and lastly the “Buckshot” released 2 white marlin. 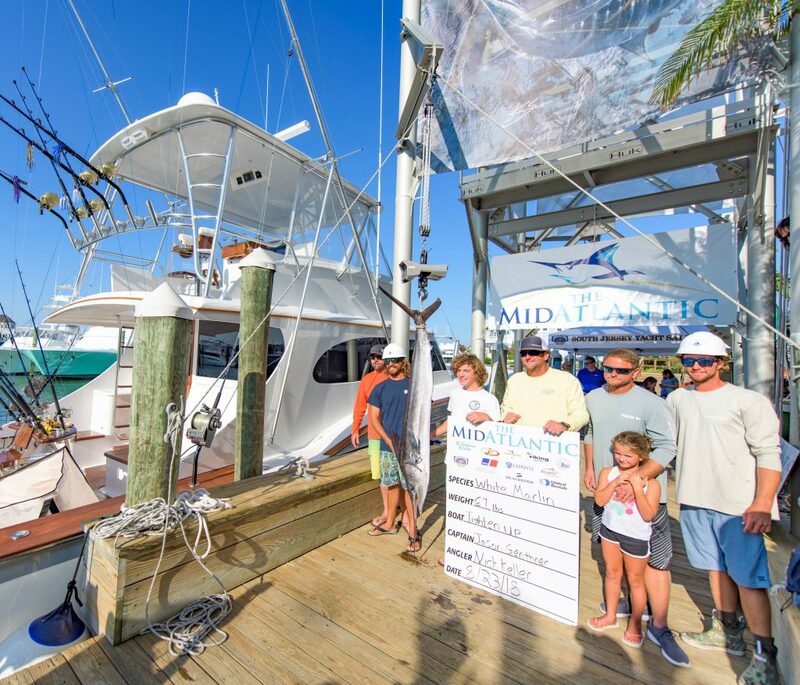 As you can see the white marlin fishing is still in full swing and doesn’t show any sign of slowing down, so be sure to come down to Sunset Marina to check out all the action! The bite is on! The Poor Mans brought a successful day for all of our anglers with all boats having over 6 White releases to report in. The ‘Fish On’ released 6 whites. The ‘C-Boys’, ‘Buckshot’, and ‘Marli’ each released 7- and the ‘DA Sea’, ‘Tighten Up’, and ‘Pumpin Hard’ each released a whopping 8 White Marlin. The 60th Annual Labor Day tournament kicks off on this Thursday and runs all weekend, so it is without a doubt these anglers are keeping a close eye on the White Marlin for this weekend. 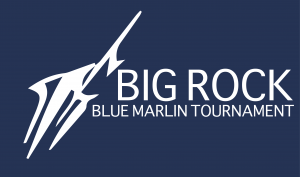 If this bite keeps up we will be looking at yet another successful challenge cup, where Ocean City Marlin Club competes against the Cape May Tuna & Marlin Club in New Jersey. It was a rather quiet day down here on the docks until 5 o’clock hit and our charter boats started coming back in with some pretty full outriggers! Fishing in the Baltimore Canyon today was the “Osprey” releasing 2 white marlin and catching 2 dolphin, the “Fish On” who released one white marlin, and the “Brenda Lou” releasing 3 white marlin. A hand full of boats fished the Poor Mans Canyon including the “No Quarter” releasing 4 white marlin, the ” Marli” releasing 3 white marlin and catching 1 dolphin, the “Espadon” releasing 6 white marlin, the “Reel Chaos” releasing 6 white marlin and also catching 2 dolphin, and finally the “Slaughterhouse” releasing 1 white marlin while also breaking off a rather nice blue marlin and catching an impressive 66 lb wahoo! 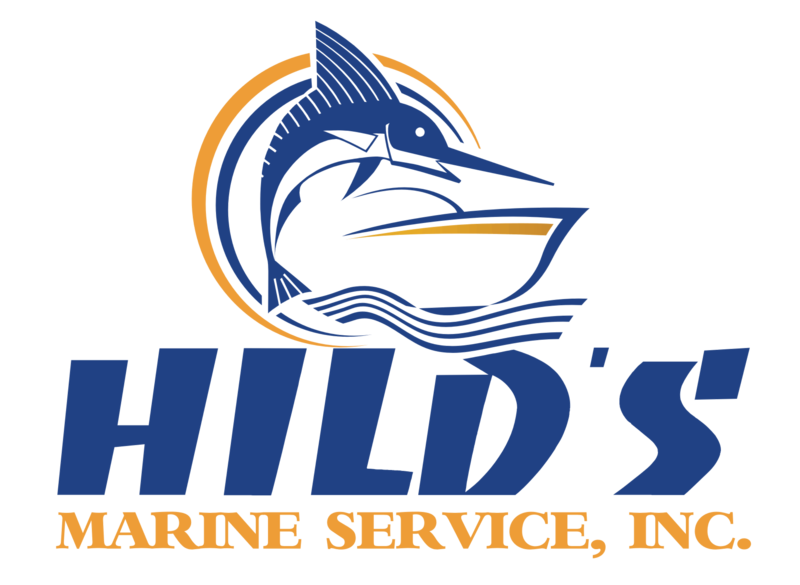 The white marlin bite, as you can tell, is in full swing so be sure to stay up to date on all the action right here at Sunset Marina! We had a great day here at the marina finishing off the final Sunday in August on a great note. We had lots of boats venture out today and even though they had a bumpy ride home, no one returned disappointed!!! The first boat to return flying a rigger full of flags was the ‘Osprey’, releasing 7 white marlin that they caught in the Wilmington Canyon. The hot spot of the day however was the Baltimore Canyon with the majority of the fleet returning from here. The crew of the ‘Marli’ released 3 whites and then we had the crew of the ‘Fish On’ who released 2 white marlin. Next up was the ‘Bar South’ returning with 8 white releases and a dolphin and behind them was the ‘Espadon’ returning with 4 white releases. The ‘No Quarter’ had 4 white releases while the ‘Tighten Up’ had 8 white releases. Finally the crew of the ‘Grande Pez’ returned from the Poor Man’s Canyon with 4 white releases and a blue marlin release. As you can see fishing isn’t slowing down so don’t hesitate to call and book your next fishing trip!!! The fleet didn’t miss a beat following the Mid-Atlantic- continuing the search for the fish once again and taking advantage of the nice forecast. Returning with 1 Blue release and 1 white release flag flying, the ‘Rhondas Osprey’ had an excellent day on the water. The Reel Chaos crew also released a blue marlin- something that seems to be picking up in recent weeks. The ‘Marli’ released a white and brought it’s crew back with 30 Tilefish. A few boats including the ‘Marli’ and ‘No Quarter’ are planning to fish tomorrow- and with the Challenge Cup on the horizon we expect a busy start to September. That’s a wrap for the Mid-Atlantic! 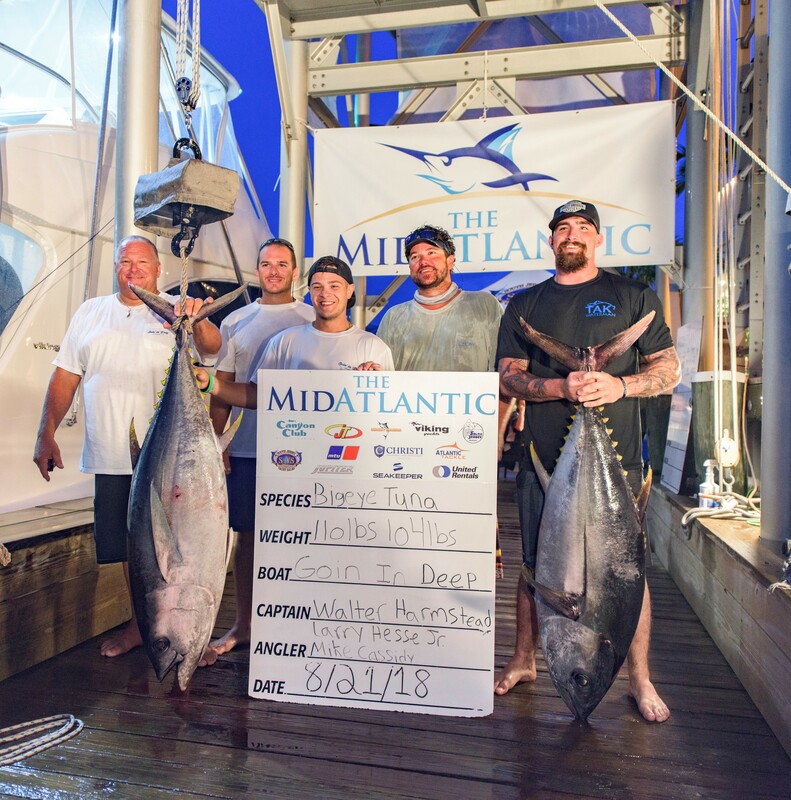 It was incredible week here for yet another Mid-Atlantic tournament, where anglers from all over gather to fish one of the most prestigious tournaments on the east coast. This tournament is co-hosted by Canyon Club and Sunset Marina, allowing participants to fish and weigh-in out of two separate ports. 157 fished the tournament in total, with 93 of those fishing out of the Ocean City port. Monday kicked off to a great start, and with an empty leader board, the crews from the 44 fishing flocked to the scales with potential winning fish. The board filled up quick with White Marlins, Tunas, and Dolphin. A whopping 146 boats fished on Tuesday (85 out of Ocean City)- bringing yet another day of action to the scales. Some beautiful Bigeye tuna were weighed in Tuesday, including the ‘Toddy Time’s 114 pounder. We also saw our first Wahoo of the week from the Zipper, weighing in at a whopping 71lbs. The weather turned for the worst on Wednesday, keeping all 157 boats at the docks for the first time in the tournament’s history. On Thursday 124 boats fished, and those who only had one day left chose to sit Thursday out. 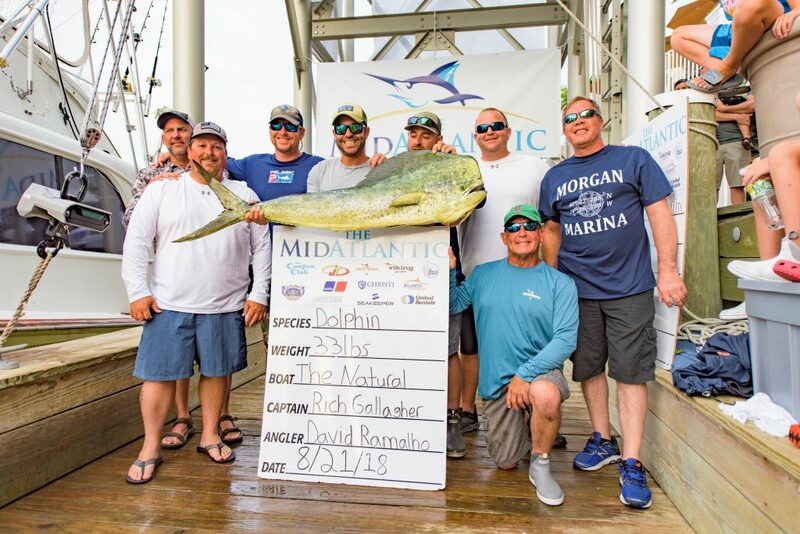 The ‘Espadon’ hit the scales early on with a 34 pound Dolphin, which held through the week to take the prize in the Ocean City Home Port Calcutta for heaviest dolphin. 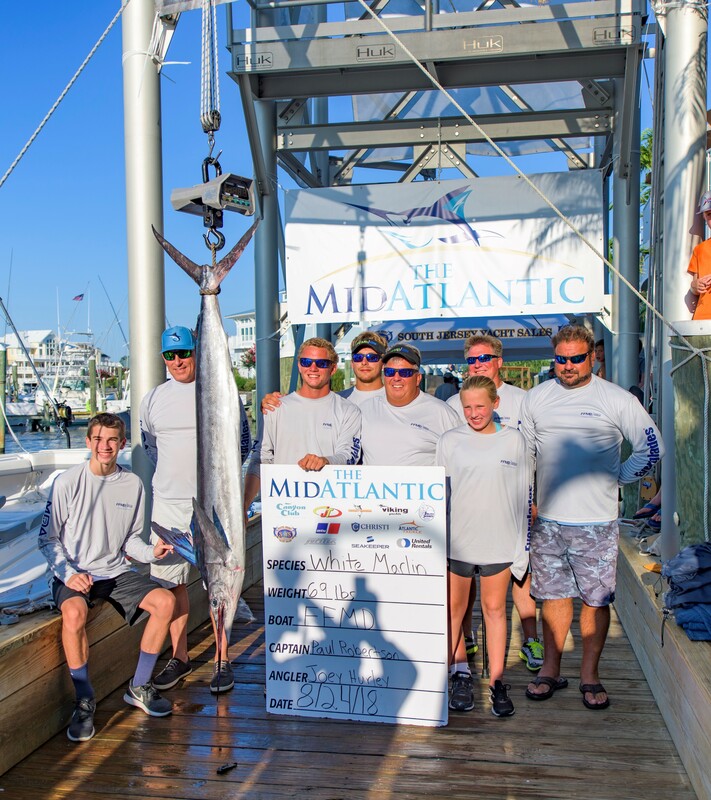 Gusto weighed in shortly after, bringing a 69.0 lb White Marlin, which in the end took home some prize money for the crew. Friday was one for the books- with every boat fishing the tournament taking advantage of the final day (93 boats out of Ocean City, 64 out of Cape May). A couple Blue Marlins made it to the scale early on, but unfortunately did not make the qualifying weight for the tournament. Several Bigeyes and White Marlins made it to the scales on the final day- including the ‘FFMD’ with their 69lb White. That fish brought the crew some serious cash- helping them spread awareness for Muscular Dystrophy and donate some money in the process. All in all, it was another amazing tournament, and we always appreciate the Mid-Atlantic in bringing such an amazing tournament to Ocean City. Check out a few snapshots below. Check out the Mid-Atlantic’s website HERE for the full leaderboard and payouts. Although yesterdays fishing was a spectacular sight to see, today was off the charts!! All of our boats fishing offshore today ventured out to the Poormans Canyon resulting in a tremendous day for all the crews. “Special Situation” released 7 white marlin, “Bar South” released 10 white marlin, “Intents” released 6 white marlin, “No Quarter” released 3 white marlin, and finally “Tighten Up” released 4 white marlin. The Mid Atlantic tournament begins tomorrow with the one of the live weigh ins stationed right here at Sunset Marina!! So be sure to come down and check out all the action down here on the docks! The Thursday after White Marlin Open is always an eventful one down on the docks as the Poor Girls tournament begins its first day out of 3. The “Marli” was fishing in the Baltimore today releasing one white marlin and catching 2 dolphin and 6 bar jack. Venturing out to the Poor Mans today was the “Osprey” releasing 5 white marlin and catching 2 dolphin. Keep an eye out these next few days as plenty of boats are fishing the ladies tournament, making it an exciting next few days down on the docks! The weather offshore kept a lot of the fleet at the docks today, but that did not mean it was a quiet day. The marina was a flurry of activity as many of the crews were rigging and getting ready for the Poor Girl’s Open which starts tomorrow!! Judging by the amount of boats that fueled today it looks like there will be a great turn out for the tournament. We only had two boats fish today and they both went to the Poor Mans Canyon. The ‘Espadon’ returned with 10 dolphin, 30 triggerfish, and also released two white marlin. The crew of the ‘Absolute Pleasure’ had 6 dolphin and also released 10 white marlin. Good luck to all those fishing in the tournament tomorrow!! Another slow day at the docks with only a small handful of boats heading offshore. The ‘C-Boys’ fished the Wilmington, returning with 6 Dolphin. The ‘Rhonda’s Osprey’, ‘Fish On’, and ‘Blood Money’ fished as well, but we did not receive any report from these boats. The ‘Marli’ is fishing an overnight this evening, so we will hopefully see a nice catch from their adventure offshore.